One thing that I learned over the years while attending family parties, weddings, and special events? Looking like a Queen is EXPENSIVE. A beautiful and luxurious outfit can run you anywhere from $100 to $1000 and I don’t know about you, but neither one of those price tags are worth it for one night on the town. I ended up with over 7 different stunningly beautiful dresses that never saw the light of day; that is a shame. A fashion shame, I tell ya! Whoever thought up the idea of renting was a genius. This multi-billion dollar industry is growing bigger and bigger with every single special event. Renting has become as easy as a few clicks, delivery information and drop off. But the question is, is this sustainable and ethical? And if so, where do I sign up?! 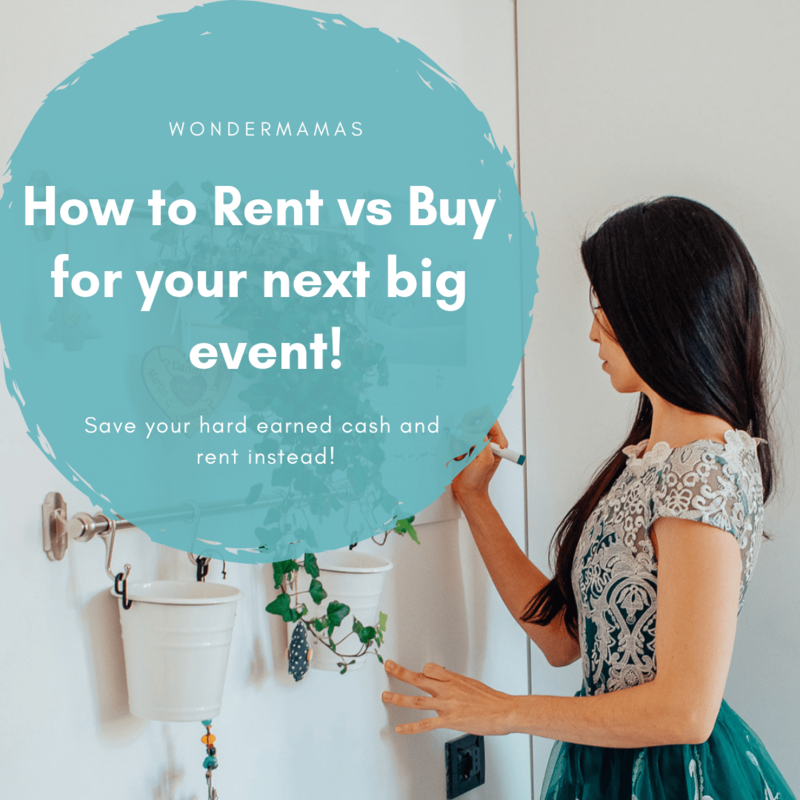 Renting vs Buying has some obvious pros to our environment and carbon footprint; nothing has to be made! We are renting an outfit for a few days and giving it back for the next fabulous Queen to strut her stuff. The only impact that renting has on our environment would be the dry cleaning, maintenance, shipping and travel for the item to reach us. According to studies across the sustainable fashion industry board, it is clear that the MORE times a clothing item is worn, the better it is for our environment. By renting, we are not adding to the environmental stress of producing the garment AND there is a huge decrease in garments in our landfills. Through our research, we found that all of the rental companies have very strict cleaning and quality control standards on all items that enter and leave their factories. Each item is checked over with every detail in mind before being dry cleaned, laundered, double checked by quality control and then shipped off to the next lucky lady! Once the rental industry began booming, a few companies took notice and decided to take the idea even further. Why not start a rental membership? You receive a box of clothes depending on the membership you choose and rent them for a month. Return and get a new box of clothes – easy as 1-2-3! I HIGHLY recommend this for any of you who have trouble wearing basics/capsule wardrobe outfits. If you like bright, trendy, and not wearing the same outfit over and over, then rent! Stop wasting your hard earned money, stop hurting the Earth and just rent girl! Renting clothes can make you feel like a goddess…even when you are just changing a lightbulb! Tumnus:(starting at $5) Probably the most genius rental website of them all; this Australian platform uses the community at hand to rent the clothes! The community can share fashion with people in their local area. You can also make some money with this website; share your clothes and earn! Armoire: ($149 a month) Monthly subscription with designer pieces. This is, by far, the most stylish rental website I have come across. Each month you receive 4 items that are personalized to your taste. You can return, keep or exchange as you wish. Each box is valued over $300 and the reviews are amazing. Gwynnie Bee: ($49 a month) This a great subscription for those who need more casual/workwear outfits and they have a great selection of plus size as well. Their plans vary anywhere from 1-10 items a month! Glam Corner: ($39 a month) This is an Australian rental site that is also a B corporation! They strive to reduce the impact that fashion has on the environment. They have beautiful dresses and gowns for all sizes – even maternity! Lana: ($20 a month) With international shipping, this Australian rental company is available to anyone…well, anyone with a bump! You can find so many beautiful maternity pieces that will make you feel like a goddess every single day of your pregnancy. This website is all about celebrating motherhood and empower women during pregnancy and beyond!